AVIATION student Scott Morgan helped fly two puppies rescued from death row in Dubbo to their new owners in Geraldton on June 10. Transport from NSW to Perth for the 14-week-old red and blue heeler sisters was organised by new animal air rescue service Fly4Paws. Scott joined Melville Senior High School (MSHS) graduate Thomas Ayoub in paying a heavily discounted fee to hire a twin engine, eight-seater Piper Navajo in an Australian first for Fly4Paws. Scott had achieved his multi-engine class rating just two days prior. He was the youngest student in WA to obtain a Private Pilots Licence, which allows him to fly anywhere in Australia in a single engine aircraft. In fact, he recently popped down to the Miama Bakehouse for a pie just because he could, and has racked up more than 130 hours of flying since starting Year 8 in 2014. Scott said he was not nervous ahead of the mercy dash to Geraldton. “It’s just flying, whether or not you’ve got the dogs in the back or people,” he said. After finding two foster families to re-home the pair in Geraldton, Australian Working Dog Rescue drove the dogs to Sydney Airport where free cargo space on a commercial flight to Perth was secured. Fees were waived at Jandakot and Geraldton airports and Air BP donated 200 litres of fuel. 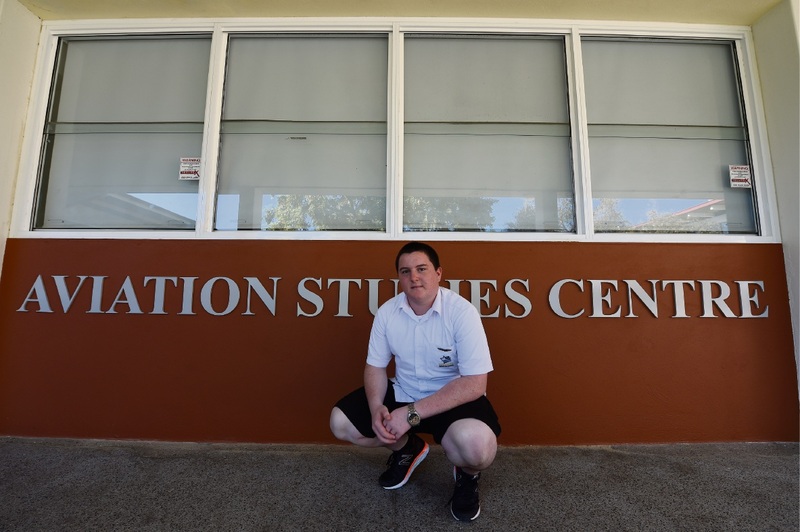 Scott is in Year 12 at MSHS and is looking forward to flying for a commercial licence, which will enable him to fly charter or fire-spotting routes to build hours for a pathway into a commercial airline.